The Fargo Persona C16 delivers personalized cards with simplicity. Just plug in and print out! It´s as easy to use as a regular office printer. Drop-in ribbon and card loading make it easy to refill. 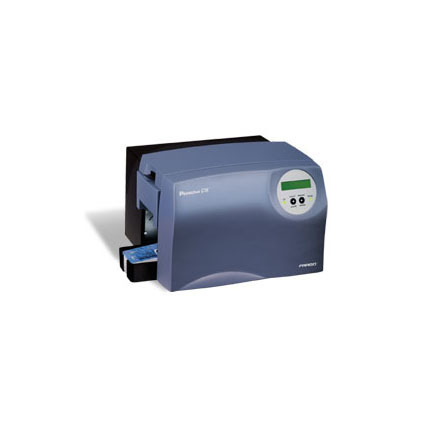 For added efficiency, the C16 has an increased input hopper capacity of 100 cards. It also features an easy-to-read LCD display that shows printer status and other helpful messages.